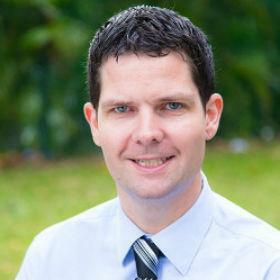 Craig Kemp is Head of Digital Learning and Innovation at Stamford American International School in Singapore. He's a New Zealand-born educator, Google Certified Teacher, Apple Teacher, and professional development speaker. You can connect with Craig via his website or follow him on Twitter. 1. What’s the most overrated topic in education right now? Learning spaces—in my opinion, it is what happens inside learning spaces that should be the priority and the focus, not what the space looks like. Focus on the way, not on the what! 2. Does technology motivate creativity? It can! Depending on how technology is used it can be one of the best tools to engage students in creative applications. Creativity can be inspired by utilizing the right approach and toolkit, especially with some of Apple's latest releases. 3. What app can’t you live without? I have two, Seesaw and Flipgrid! Seesaw works incredibly well both as a portfolio tool and also as a learning tool in classes. It’s so easy that our 5 and 6 year olds use this independently. Flipgrid is such a powerful communication tool that inspires even the quietest student to share their learning in an interesting way. Both tools allow for collaboration and communication with learners from all over the world. 4. What events from your own experience as a learner have informed your approach to your work in education? Being connected on Twitter has changed my career. I am now connected with over 36,000 people from all over the world who not only motivate and inspire me every day but give feedback and help when needed. The ability to connect with like-minded people and those who challenge is a unique experience that Twitter provides on a mass scale for educators from all over the world. I learn more from Twitter in 10 minutes than I do from hours at conferences! My PLN (professional learning network) feels like my family! 5. Which actor would play you in the movie about your life?